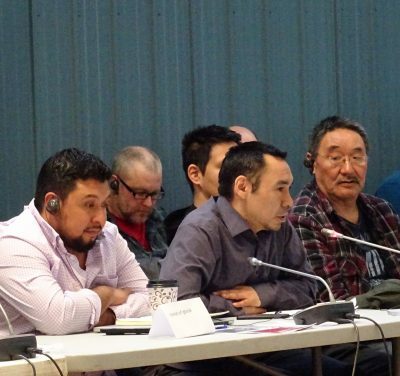 Maybe it would have been better to hit the pause button before the three-day technical meeting on Baffinland Iron Mines Corp.’s phase-two expansion plan got underway this week in Iqaluit. Meeting participants didn’t have many of the documents from Baffinland that they needed to assess the project. 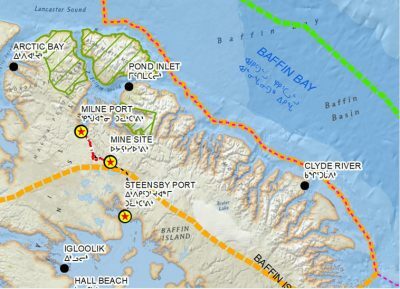 As the Nunavut Impact Review Board meeting ended, it became clear that the lack of up to 30 documents from Baffinland—most of which won’t be delivered until mid-May—hindered some important technical discussions that should have taken place at this stage in the regulatory process to assess whether the iron mine’s expansion should move ahead. This lack of essential information was noted by the federal government even before the meeting started April 8. The entire review process for the project is being rushed, said Levi Barnabas of the Qikiqtani Inuit Association in his final remarks to the NIRB meeting on Wednesday. Barnabas said there are too many unresolved issues to evaluate, in what he described as an “unforeseen” expansion of the iron mine. 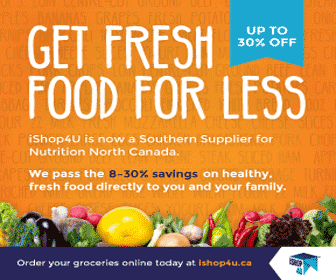 In October 2014, Baffinland proposed the first version of its phase-two expansion scheme. The company then changed their phase-two plan to propose replacing their tote road to Milne Inlet with a railway. 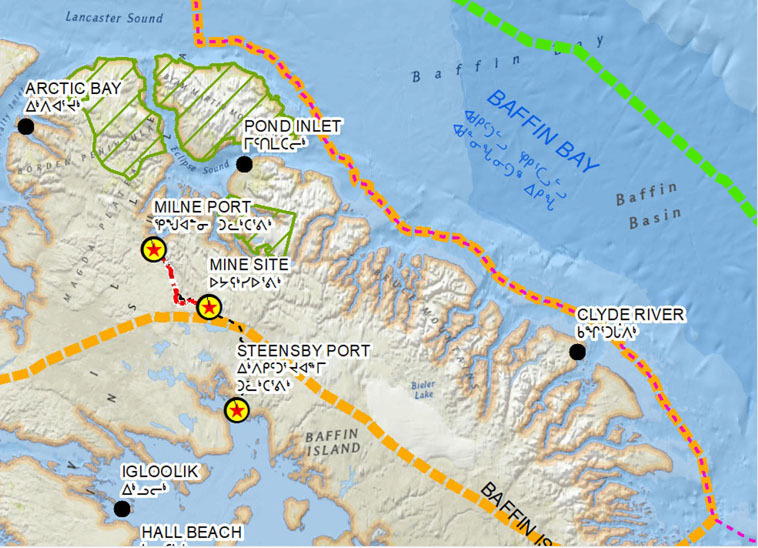 Baffinland’s phase-two revamped expansion plan is now based on building a 110-kilometre railway in north Baffin, which will double its ore production to 12 million tonnes a year, and extend the length of its shipping season from July 1 to Nov. 15. That expansion would require more infrastructure at the Mary River mine site and at the port for the roughly 175 round-trip shipments by vessels that would dock at Milne Inlet. The price tag for this expansion is about $900 million. At the technical meeting there was no information about the railway Baffinland wants to build from Mary River to Milne Inlet. The NIRB’s executive director, Ryan Barry, said board members plan to decide next week on scheduling for the project’s continued review. The board’s options could include adding another technical hearing or even postponing the final hearing on the project, now slated to start Sept. 16. She said Mary River was never was intended to stay at its so-called “early revenue” phase, a smaller scaled-down version of the mine designed to show investors the mine’s potential. “It’s important that the final hearing not be changed,” Lord-Hoyle said. But community representatives brought many concerns about the project on which they still want answers. Enookie Inuarak of the Mittimatalik Hunters and Trappers Organization said he was concerned with the impact of shipping on marine mammals. He also said people in Pond Inlet are worried about dust, water quality and how the proposed railway may disrupt traditional activities, such as fishing and caribou hunting. The Department of Fisheries and Oceans, Parks Canada and Oceans North also underlined the lack of information on ice-breaking impacts on marine mammals such as narwhal, whales and seals. The DFO said it’s difficult to accept Baffinland’s conclusion that there would no significant impact on marine mammals from the increased shipping. A recently-released 70-page DFO science review of the phase-two proposal estimates about 32 bowhead whales and some 4,000 narwhal would be disturbed 3.5 times a day by huge cape-size cargo vessels and the noise related to shipping. With increased ship traffic, there would also be the possibility of ships colliding with bowhead whales and a possible increase in narwhals becoming stranded on shore, the DFO said. For its part, the Government of Nunavut wants to see a better assessment of shipping on polar bears before the final hearing in September, as well as more assessment of impacts on caribou from the proposed railway’s passage, with its steep embankments and 11 proposed caribou crossings. But again, there was no geophysical report on the proposed railway at the meeting. There was also no time to discuss the project’s cumulative impacts, although discussions did touch on marine, terrestrial and socio-economic impacts, despite the lack of some key reports. 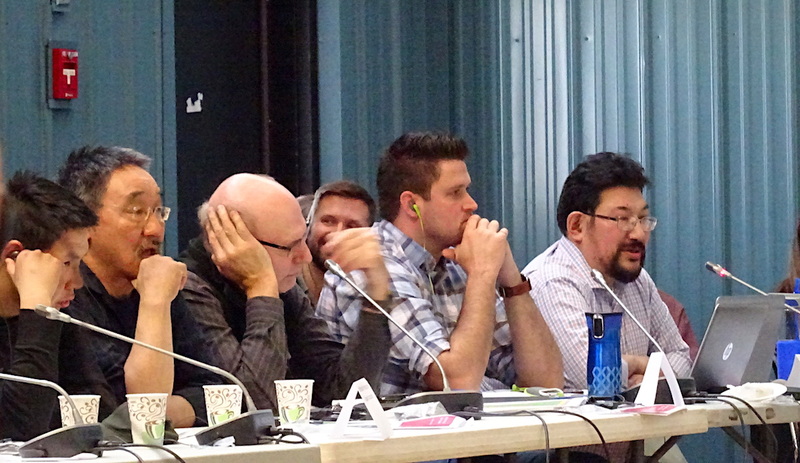 Throughout the meeting, representatives from Pond Inlet and Igloolik, two of the five communities closest to the mine, deplored the lack of clear and open communication from Baffinland, the poorly-advertised meeting and the hard-to-understand technical materials. A stakeholder communication plan was not yet ready for the meeting. 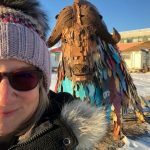 The final public hearing on the project is scheduled to take place between Sept. 16 and Sept. 20 in Pond Inlet, with recommendations to be made by the NIRB to the minister by Nov. 4—about two weeks after the Oct. 21 federal election. Before then, a marine monitoring and marine mitigation workshop is scheduled for May 1 in Pond Inlet. Don’t anyone kid themselves. BAFFINLAND has been in Phase 2 mode since last year. They overfilled camps to the point that the sewage treatment plant was running at 120 % of it’s capacity. This forced Baffinland to dump raw sewage into Mary River. While the recommendations of this NIRB technical meeting are necessary and should be followed, Baffinland will steam roll ahead. 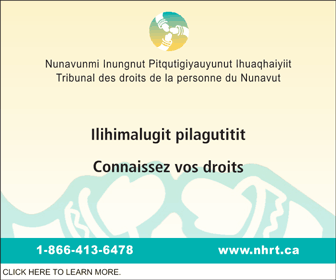 Baffinland takes us Inuit for a bunch of pansies. It continues to communicate with the communities with documents loaded with technical jargon. It also continues to argue that their new plans are essential for the viability of the project and that seem to ensure hearings continue for its own benefit. The lack of the required information in order for stakeholders to make an informed decision is a perfect example of this. Even the NIRB and the other stakeholders are taken for fools. Once again, like every other time, industry “consultation” is just a checkmark on the “to-do” list, something that corporations do when they’ve already decided they’re going ahead with a project. I think the spirit of consultation was originally to be, “hey, we’re considering doing this thing, before we put in all the money and work towards it, how about you tell us if you think it could be viable? If so, we’ll start moving ahead and keep you in the loop throughout the process”. Instead, it’s simply been, “so we’ve decided to do this. Tell us what you’re worried about and we’ll throw you some ‘mitigating measures’ breadcrumbs”. 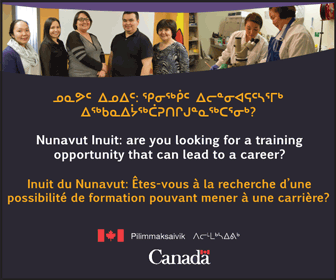 Baffinland is already having trouble involving Inuit in employment. Put a halt to all of their activities until they are willing to comply with all aspects of their previous agreements. Hey, it’s your signature. When it was signed, did everybody jumped up and down in excitement?